The course content is driven by the distilled practical experience and academic prowess of project management experts, whose expertise add immense value to the course and to your learning experience. Course content is aligned to industry standards and requirements, as well as the needs of today’s project managers; ensuring its relevancy and usefulness. Theory is supported by examples, exercises and case studies, which drives practical application, and promotes rapid skill-building of participants. The course will guide you through the development of a comprehensive project plan, from inception to delivery and evaluation, completed as an assignment. You will be guided by a professional course coordinator, ensuring that your progress is informed, focused, and enjoyable. In addition to the skills and knowledge gained, completion of the Project Management: Principles and Practices short course provides participants with crucial portfolio evidence required in the process to earn a professional designation as Project Manager (PM), conferred by Project Management South Africa (PMSA), the SAQA-recognised professional body for multi-sector project management. Those new to project management will find a comprehensive guide to running a project successfully. This course is ideal for those operating in the project domain where integration of different technical inputs is vital, and project administrators wanting to update their knowledge of current project management principles. 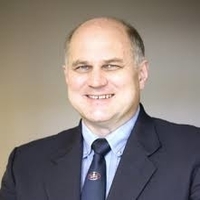 MC Botha is the Director of the Centre for Business Management of Projects at USB-ED, holds an MBA with a specialisation in project management and has over three decades of experience across the private, government and academic sectors. He is the programme coordinator of the Postgraduate Diploma in Project Management which is hosted by University of Stellenbosch Business School.